Hello! Welcome to Societies in Ruin. Throughout the course of this class, we'll be taking a look into some of the more popular dystopian novels that have been published in the last few years, specifically The Hunger Games, The Maze Runner, and Divergent. We're only going to be covering the first novel in each series, but this class serves as a sort of enticement to read all of the series. They're all great novels, and I highly suggest reading them. We'll also be covering the films that were made in respect to each series; though, given how much I tend to ramble on about each one, we probably won't go quite as in depth to the films as we will the novels. All that being said, this is the thread where you can all introduce yourselves for the first assignment! I suppose I should go first, shouldn't I? First thing you should know about me? I hate introductions. I'm so freaking awkward, I hate having to write about myself lmao. ANYWAY. My name is Elena Galatas. I'm a seventh year Ravenclaw, and I've been one for...a while now. >.> I just don't want to graduate, okay. Don't judge me. I'm a member of the Ravenclaw quidditch team! I'm 30 years old, I know I'm old don't remind me rofl. I work full-time at a Wal-Mart supercenter, and I live in the central time zone; I don't generally sleep a whole lot during the days that I work, but I tend to catch up on sleep on my days off. So if I disappear for a day or two, I'm probably sleeping lmao. I'm a massive Harry Potter fan, but I also obsess about many other things. Doctor Who, Once Upon a Time, Killian Jones and Colin O'Donoghue in particular, Star Wars, comic books (particularly Spider-man and Harley Quinn)....pretty much, most nerdy things you can think of I'm into. I also read a lot, and I think dystopian literature is one of my favorite genres. Thus why I decided to finally stop being lazy and actually make this class. Depending on how lazy I feel, a class specifically devoted to The Hunger Games might pop up next semester. I go by Scarlet (one T and no "Prof.") and I'm a Slytherin professor. I graduated as a Ravenclaw student (only a few years before Elena should have graduated). Since then, I've kept myself pretty busy on HOL and created a handful of classes. My newest class is Magical Beings. My favorite class to teach is Journey of the Hero. One of my Journey of the Hero students introduced me to my favorite dystopian book trilogy - Under the Never Sky by Veronica Rossi. I'm not too picky about what I read. What I really like about dystopian literature is how it challenges the typical way of thinking. But I actually decided to take this class because I'm thrilled that Elena is teaching a class! She's run a couple of class ideas past me and I'm really glad this one stuck. Outside of HOL, I work as a pharmacist at a rehabilitation center, mainly for patients who need physical therapy after surgery. I participate in volleyball leagues throughout the year and enjoy playing board games in my free time. I actually decided to take this class because I'm thrilled that Elena is teaching a class! She's run a couple of class ideas past me and I'm really glad this one stuck. Also - my Once Upon A Time class is still in progress. I'm just trying to actually write everything out. There's just SO. MUCH. CONTENT..
My name is Keani Orion and I am a first year Slytherin coming to you from the island of Oahu in Hawaii. I am extremely excited to be a part of HOL this year and have always dreamed of belonging to such a prestigious school of magic. I am a half-blooded wizard. However, both parents have shared an interest in our magical world. My father comes from a long line of Hawaiian wizards known as Kahunas and my mother is muggle born but both had the opportunity to attend HOL. Being the child of a former Ravenclaw(mother) and a line of former Slytherins (father’s side), the expectation to do well in my studies are very high. However, I also like to look for adventure and love to try anything new which is probably why I always thought I belong to Gryffindor. It also helps that my astrological sign is Leo. I also love to have fun and unlike many Slytherins, I’m considered the life of the party. As you can see, I don’t carry many characteristics or qualities often found in a Slytherin. However, against my expectation; like my family members before me, I was sorted into Slytherin. Though my expectation of which house I was sorted into has changed, my expectation to have an amazing and great year filled with amazing memories hasn’t. I am extremely excited to be doing classes such as HOL 101, Potions for Beginners, Defense Against the Darks, Societies in Ruin, and The Magic of Forensic Science. As expected, I plan to do well in my classes and I look forward to achieving high marks in all my classes. I am also excited to be making new friends and meeting people from all parts of the world. I want my time at HOL to be the best experience possible because with going to a school of magic, the possibilities are endless. In RL, I do live on the Oahu and I am a lead teacher at Gymboree Play and Music. I also work at the high school that I attended and graduated from as the assistant drama teacher. I enjoy musical theatre and have been in many productions in my community. On my free time when I have it, I enjoy spending time with my family and friends. I especially love watching my nieces and nephews. I also love exploring new places that our island has to offer. I got into Harry Potter after reading one of my sisters books. It was Harry Potter and the Prisoner of Azkaban. I didn't realize there were two books before that one until the movies came out. I actually didn't read the first two books till after all the movies were completed. Welcome to the class (and HOL), Keani! It must be interesting to live on Oahu! I know you probably don't feel quite the same way having grown up there, but I've always wanted to visit. The islands are freaking beautiful. Also, I freaking adore musical theatre! It's nice to know that I'm not the only one, ha. I'm Celeste and I'm a Ravenclaw third year. (Fingers crossed i don't fail this year again ) I'm from Lebanon, and oh boy was it a long way here! So why would an Arab using a frog-sounding-like alias (MY IMAGINATION WAS ON A MAJOR LOW OKAY) want to take this class, you may ask? Ever since i was young i have loved to read, but mostly I've loved to read fiction. There's just something so alluring about the possibility of these worlds so different from our own and the characters in them faced with choices so different from ours. Life can be pretty routine-like and monotonous if you ask me. You go to school, you get a job, you get married and the rest is blah. But then, you have these kids who are living these extraordinary lives and making these extraordinary choices and I can't help but imagine what it would be like if I could live in that world, get to know those people, and make some tough choices. I would be dead within the hour. BUT. In the unlikely scenario that i wouldn't be, it would be invigorating to experience something unplanned and unknown. I mean if we really think about it, do these characters really know where they're going to end up the next day? No. As frightening as this may seem, I think this unknown variable just keeps them pushing harder and harder to survive. So that was basically my fancy way of saying that I love dystopian worlds and would love to study some of them in this class as a means of escape and as an excuse to daydream in class. First of all, I love the name Celeste, so I happen to love your name. Second of all, the way you feel about dystopias is the same way that I feel. There's just something so alluring about a world so vastly different from our own, about people our age (or relatively close to our age) going through something so difficult. It makes you stop and think about (and in some cases) appreciate your own life. Granted, the first time I read these books they were closer to my age than they are now (me being 30 now, and I was 20 when the Hunger Games was written, 21 for The Maze Runner, and 23 for Divergent; they weren't exactly my age, but they were close-ish), but I still felt drawn to them. I don't know what I'd do if I had been thrust into those types of situations; like you, I feel like I probably wouldn't last long, lol. Anyway, I'm glad you've chosen to take my class! Welcome! It's always nice to find other people with interests similar to your own. I am Amanda Summers, a sixth year student at HOL. I am excited to be here in completing this class and learning a little more about our greatest witches and wizards of our time. I have been at HOL for a long time since 2005 and been in and out over the years finally trying to graduate. I also teach my own class Auror Training Level One, 2 and 3 will follow. I am part of the Gryffindor house. I have never taken a course like this at HOL before, I am challenging myself to something new. I hope to learn more about other literature in this genera. In real like I am a mother to two beautiful children I live in Los Angeles, for work as the the assistant manager of digital marketing at Scooter Braun Projects. When not working you will see me out with my two children, cooking, reading, and well managing my Auror class which is 90 percent of my HOL work. See you around! And we're off to a new semester! Last semester went so fast, but it was a great class! Here is where y'all are free to introduce yourselves to the rest of the class! I'd love to see everyone interacting and sharing their love for dystopian worlds! Elena introduced me to the idea that there can be other pirates. And if she had one good idea, then undoubtedly she has other good ideas! So here I am in the class. Excuse me while I fan girl over my pirate but yes!! There are so many more good pirates than the typical ones. Killian is one of the best examples of that. That’s part of why I love Once Upon A Time so much; it shows there are more sides to a story than we know. I’m still working on my OUAT class, actually. Anyway. I’m glad you chose to take my class Tarma!! I love having you around. And hopefully you can actually make it through the books this time ha. I try to steer away from massive spoilers in the lessons, except probably the Divergent lesson but even that one I don’t say everything that happens, so you should be okay I hope lol. I hope you enjoy the class!! Actually, I just finished Divergent! I picked it up from the library last week. I liked it a LOT more this time so I'm very glad to have joined your class and been 'poked' to read it. I also picked up The Maze Runner from the library, so who knows, maybe I'll get both of them read 'now'. I have The Hunger Games in my own library ... so I'll read it last. Not quite in the order of your lessons, but that's okay? Hello everyone! I am Vanessa and I am a second year Ravenclaw student. I am also co-head of the Art Department (which will eventually get going I promise), a member of RQT, an editor for Alte, and I teach Divination. I am hoping to offer some classes I make myself next term! That about covers my HOL self. In real life, I am a 32 year old, soon to be 33, (so you aren't old Elena ) housewife. I am also a bookworm so I spend a lot of time reading especially here lately since I am now part of around 5 book clubs. :O Hard to keep track but at least I have my handy planner to keep up. I also love animals and currently have 4 dogs, 3 cats and an alligator snapping turtle. I am excited to take this course because I have been reading a lot more dystopian novels lately though they still aren't my favorite things. I am hoping this class will give me a new perspective and love for them because this last series I am working on (Shatter Me by Tahereh Mafi) has been driving me a little crazy. Too much drama with love triangles compared to the action. I do plan on re-reading The Hunger Games this term and I haven't read the other novels so I look forward to trying them out. 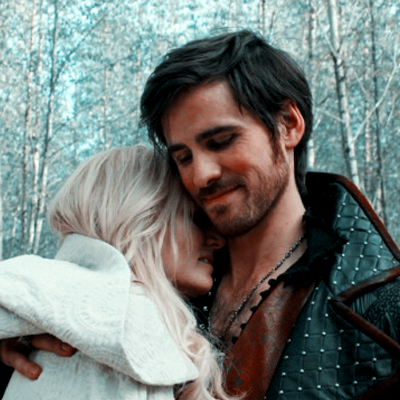 As for pirates, I love them all but you guys can have Killian. I will stick to my favorite Davy Jones, tenacles and all.